Lockport gasoline averages rose by four cents this week to $2.364 per gallon, according to AAA East Central’s weekly Gas Price Report. Pump prices in the Mid-Atlantic and Northeast regions moved higher on the week, with New York ($2.45) landing on the top 15 list of most expensive markets. 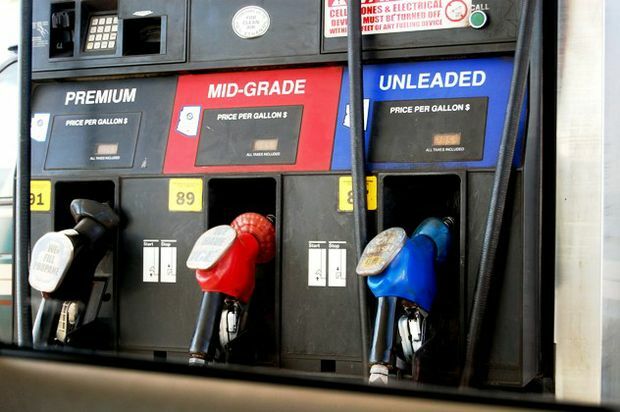 With most of the country seeing declines in gasoline inventories, this region saw gasoline inventories increase by approximately 400,000 bbl, according to the Energy Information Administration’s (EIA) latest reports. With the continued record high output rates for refined products, refiners are able to cheaply produce large amounts of gasoline and store it in the regions. Today’s national average price for regular unleaded gasoline is $2.35 per gallon, which is three cents more than last week, nine cents more than one month ago, and 23 cents more than at the same time last year. The latest EIA report shows gasoline demand reached a new weekly record of 9.8 million b/d. The 2017 demand average over the past four-weeks is about one percent ahead of the same four-week period last year. With summer demand running full steam ahead, drivers can expect prices to continue rising. After briefly pushing above the $50 benchmark last week and then dropping down, the price per barrel for West Texas Intermediate (WTI) once again appears poised to push above $50 after increasing 55 cents to settle at $49.58 on Friday. With market observers watching crude storage levels to see if they decline, this week’s EIA report was welcomed news since it showed that they had reached their lowest point this year at 481.9 million bbl. However, last week's excitement was tempered by total crude storage remaining at approximately 70 million bbl ahead of the five-year average. EIA’s report also showed an increase in domestic crude oil output to 9.43 million b/d last week, making it clear that the glut of crude will not disappear easily. On the other side, according to Baker Hughes, Inc., the U.S. lost one oil rig last week, bringing down the total number of active rigs to 765. The modest decline may be an indicator of investment in offshore drilling leveling out for the year.